If you have ever visited Kimes Ranch in Scottsdale, Arizona, you have passed the Kail residence. Ryan Kail just so happens to be neighbors with Matt and Amanda. Kail met Matt Kimes at the young age of five when Matt purchased a horse from Kail’s parents. Kail also knew Andrea during his youth when they showed horses together. Ryan Kail is a third-generation AQHA/NRHA judge and horse trainer. He is married to Andrea Kail and they have two boys, Lane and Carter. 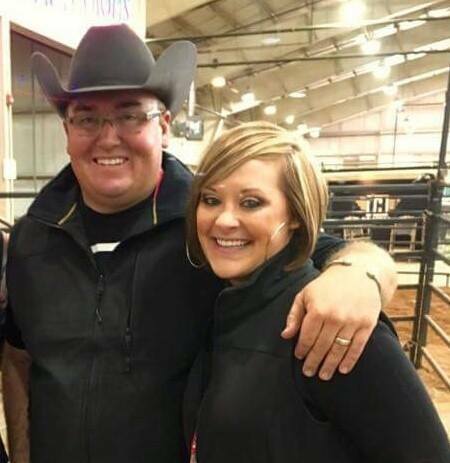 Kail and his wife have a very successful training business under the name of Kail Quarter Horses. They both enjoy competing and training in multiple events. The story of how the Watsons got their name is quite interesting. Kail described the humorous situation that led him to pass on a goat from Watsonville, California to the hands of Amanda Kimes in Scottsdale, Arizona. Kail loves the Watson jeans and they are the only style he wears. Andrea also loves her Kimes Ranch apparel and wears the classic Betty style jeans. To read more about Ryan and Andrea Kail check out their website and Facebook page.